Scalable Display Technologies and Immersive Display Solutions, Inc. (IDSI) will be highlighting their strong partnership and technical leadership at I/ITSEC exhibition 2017. IDSI continues to lead the market with fixed and deployable visual systems for immersive training and simulation. Scalable provides software that is a key component in allowing easily deployable and maintainable solutions with flexible hardware components. 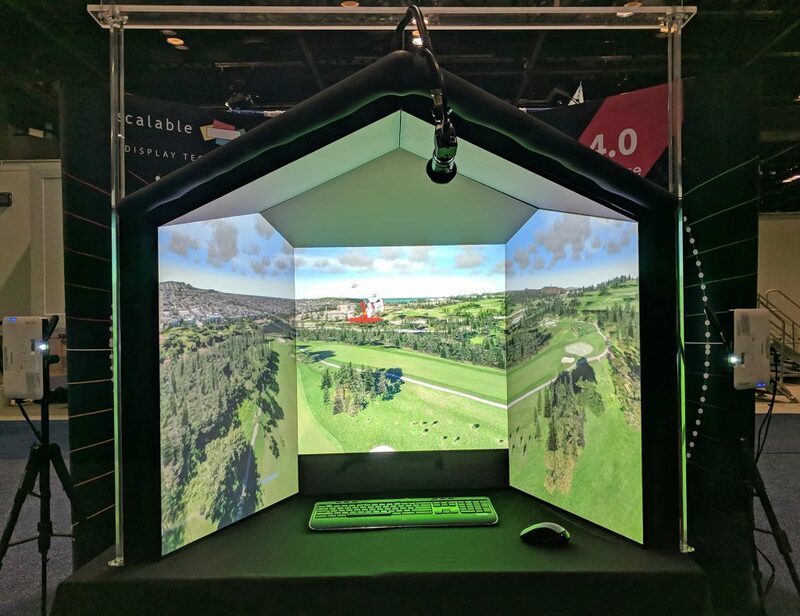 IDSI will be showing six (6) display systems around the show floor that utilize Scalable software, these simulators will demonstrate some of the capabilities and advanced trainers that are possible with IDSI & Scalable. IDSI (Booth #1273) is recognized for its innovative approach to engineering and integration that utilizes custom fabrication and COTS hardware to produce high-fidelity yet budget-conscious simulation solutions. About Scalable Display Technologies, Inc. – Scalable Display Technologies, Inc. is a leading provider of auto-calibration software used to create edge-blended displays. Its patented software, developed a decade ago at MIT, simplifies the creation of megapixel, multi-projector displays of the highest quality and scalable size. Scalable’s software opens the door to widespread use of multi-projector displays for a new class of simulators based on off-the-shelf components, as well as supporting new forms of digital signage and data visualization tools. For more information, go to http://www.scalabledisplay.com. About Immersive Display Solutions Inc. – Immersive Display Solutions Inc. (IDSI) is a solutions-based company that designs and integrates affordable, customer requirement-based spherical, cylindrical and panoramic display solutions. Dedicated to delivering best of breed technology from a broad base of technology partnerships, IDSI display solutions are ideal environments for the simulation of highly immersive experiences including flight, driving, ground combat, situational awareness, or any other civilian, government or military operations that benefit from either a panoramic or completely immersed presentation of the activity. IDSI offers components as well as complete display solutions featuring single and multi-channel projection solutions for permanent or deployable applications. For more information, go to http://www.immersivedisplayinc.com.